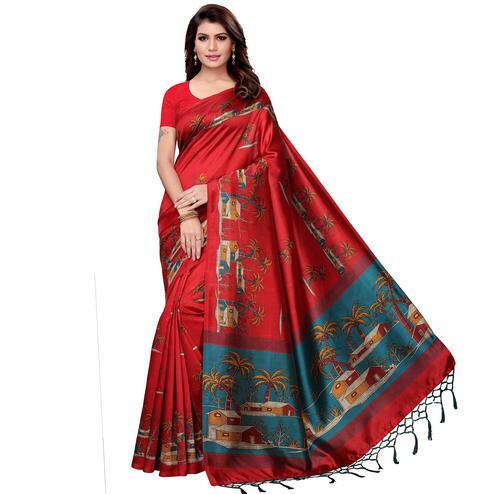 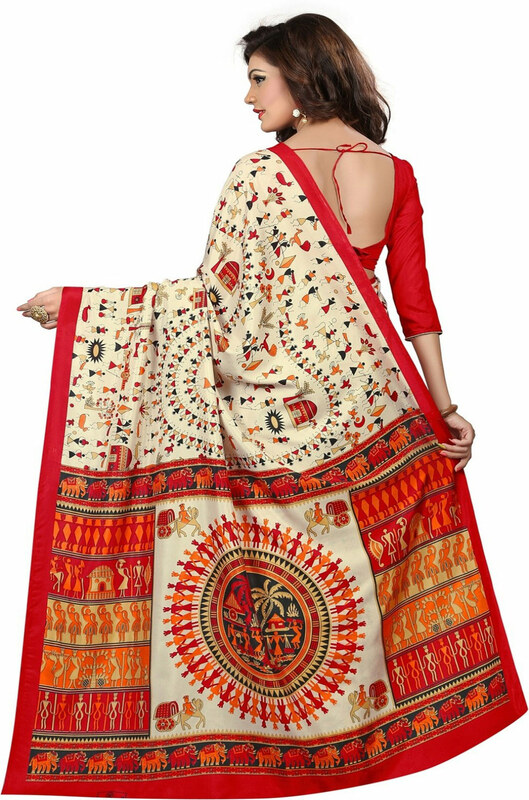 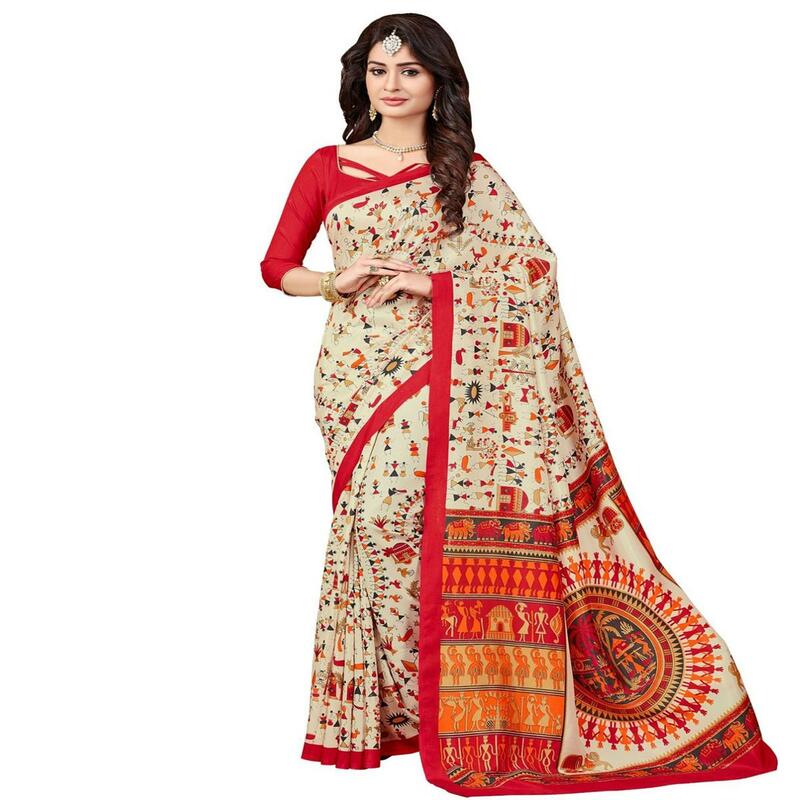 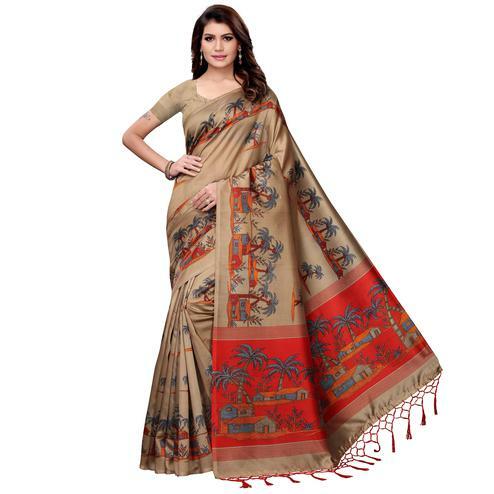 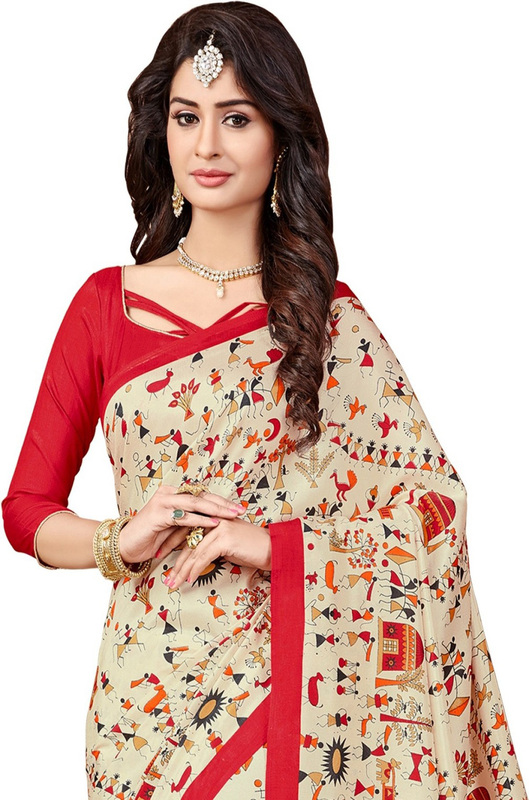 Beige - red printed bhagalpuri fabric saree showcasing warli tribal design print done at entire attire. 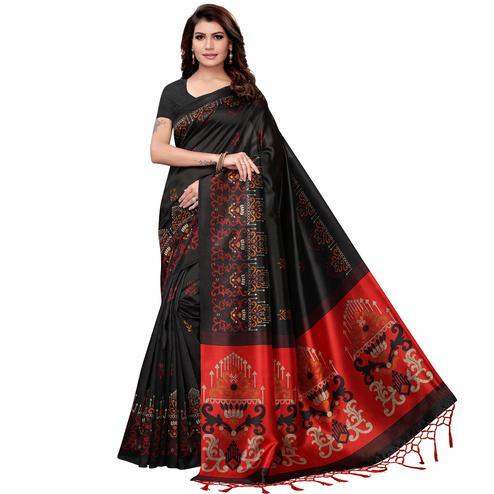 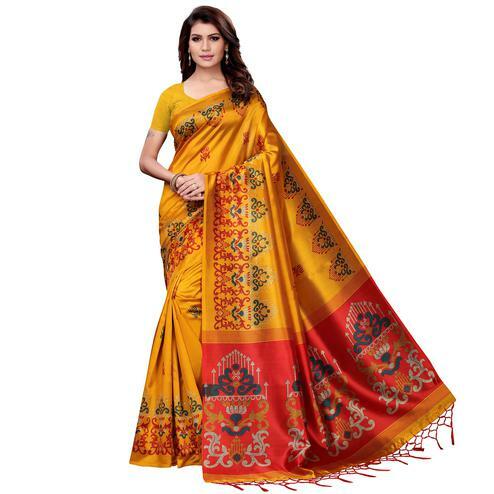 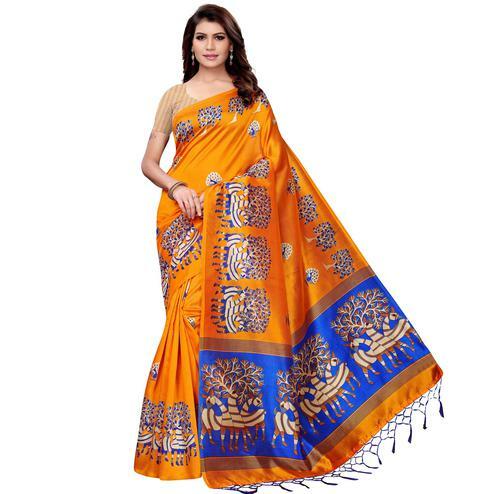 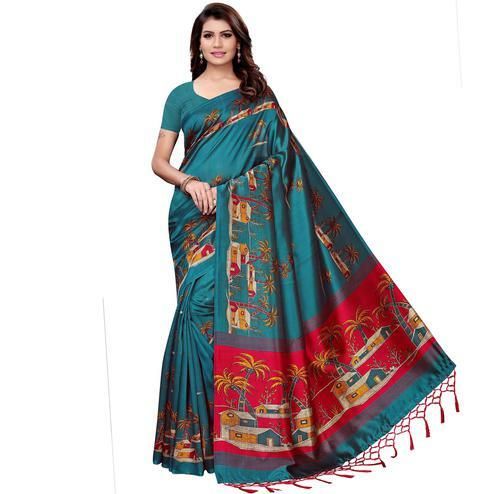 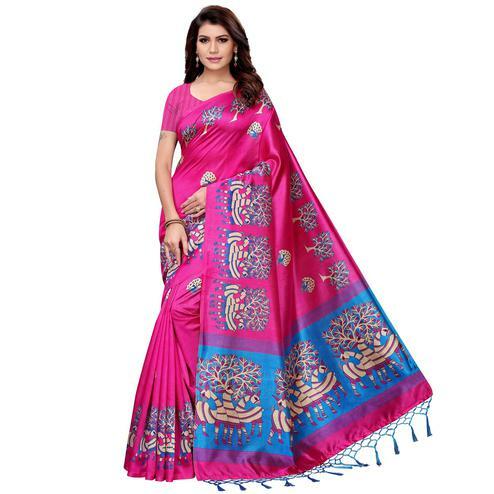 The border of the saree is outlined with matching color of blouse as shown. 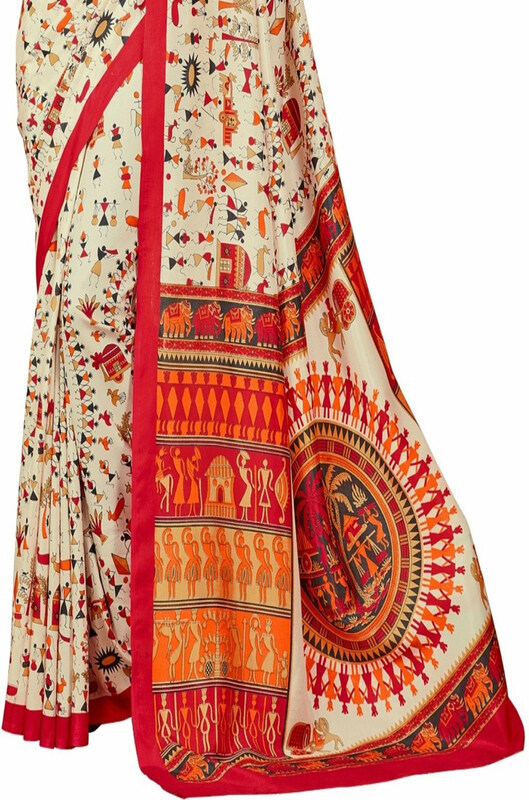 Paired with unstitched blouse piece. Ideal for casual and regular wear.